From the director of The Story of the Weeping Camel comes another captivatingly beautiful story of nomadic family life in the endless expanse of the Mongolian landscape. While taking a walk, six-year-old Nansaa finds a little black-and-white spotted dog in a cave along the cliffs. She names him 'Zochor' (or 'Spot' in English) and takes him home with her. But her father tells her to get rid of him because wild dogs attack the sheep. When her father goes on a long trip to the city to sell sheepskins, Nansaa keeps the little dog, who becomes her trusted companion. 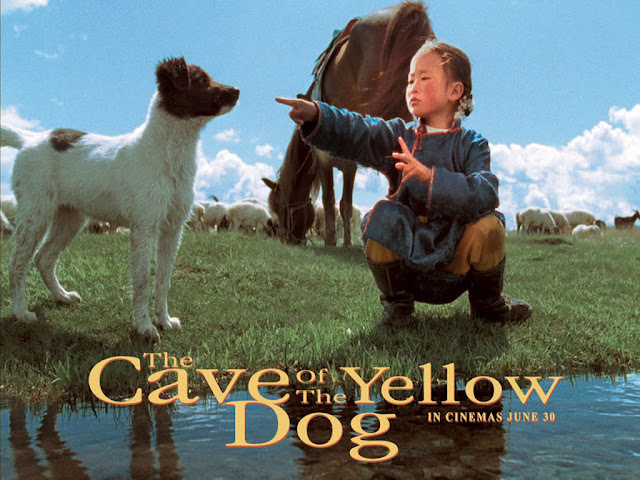 One day she loses track of him in the tundra and, while searching for him, encounters an old nomad woman who tells her the legend of the the cave of the yellow dog… Mongolian with English subtitles; UK Exclusive Director Interview. 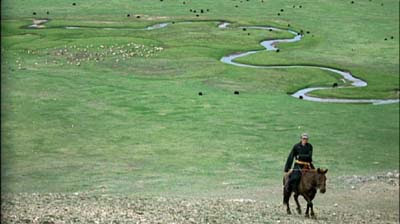 This film is highly instructive because it takes the viewer into the most intimate life of a nomadic Mongolian family. It is not really about a dog. There are no professional actors but a real family living its normal life. We can see the immense spaces of Mongolia and get a glimpse of its traditions. At the same time, we see how modernization is changing the country, with technology affecting kids' education, transport and the availability of information. In my vew Mongolia is changing for the better, and I don't understand those who criticize change and would like to hold on to a backward and obscure past. Very useful to prepare a trip to Mongolia. I'll go there, of sure...one day!